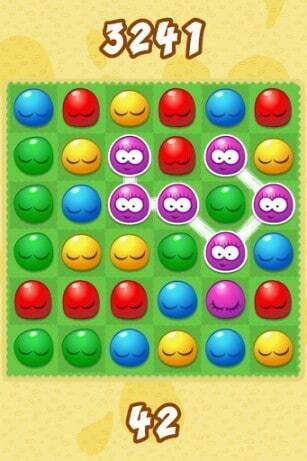 Jelly Splash for Android is the most successful game launched by the German-based company Wooga. It is their fastest growing game to date and it has earned them serious money because of this. Jelly Splash was first a major hit within the App store, being downloaded for more than 10 million times by players all around the world and moving up on the first spot for free apps. 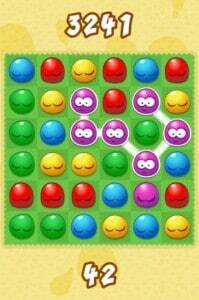 A new way of developing Jelly Splash in order to bring it to Android was used by engineers. This helped reduce the time it took to develop it and ensured that the game benefited from the same features across all the platforms. In Jelly Splash you can play through more than a hundred levels of challenging puzzles that will keep you excited till the very end. The purpose is simple: connect pieces of jelly across the board and score points. The longer the line of jelly connected, the more points you earn. You can connect them horizontally, vertically and across. Although this game is free to play there are of course some in-game items which will require payment such as some special items or extra lives. This can be disabled, however, from settings > in-app purchases. The game, in general, is quite easy to learn but it will take some time if you wish to become a true expert in playing it. Graphics are not bad as well, having in mind that you’re probably not expecting GTA V level graphics, in which case you would probably be a little disappointed. There are also no time limits in Jelly Splash for Android so you can take your time and plan moves and leaderboards that will allow you to go head-to-head against your friends. Synchronization with Facebook is limitless and in order for you to more easily get through the various levels of Jelly Splash you will gain boosters. You need your friends in Jelly Splash. And preferably more than a few after level 43. Besides this, they will be able to supply you with free lives so a good idea would be to add them from the very start. Another good idea is to start removing jelly from the bottom of the board, especially if you have dark jelly. This doesn’t apply to situations where you have mushrooms or slime guards at the top. In situations where you have to free jelly, remember that if the ray of special jellies hits the one you have to free it will count as five jellies. If mushrooms are present, nevertheless, they should be eliminated first. 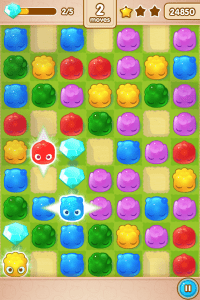 Planning should be given the utmost importance and in almost every instance it is better to complete the level with as few moves as possible, thus forming larger chains. If you wish to download this game just head on to the Google Play Store and download it for free and enjoy the jelly sweetness that comes with it. You will be redirected to the Play Store by clicking here.